Meet Renfrewshire’s Rapid Response Team – the Council’s mobile patrol squad aiming to boost civic pride in Renfrewshire’s key streets and open spaces. The aim is to supplements the routine street cleaning and waste disposal work done by the Council’s army of hard-working waste workers. – unsightly street litter and overflowing litter bins. With at least five private companies and the Council removing waste from businesses in Paisley town centre alone, one of the key areas of the Team’s disposal work is monitor the right bags are out on the “right” days. Helping residents in high-density town centre tenements learn how to manage their household waste disposal – such as bin collection dates – is another task which the Team may be called on to do. Jennifer McKay, owner of Malatso bistro in Paisley’s High Street, said: “Having the Rapid Response Team is fantastic. “The Rapid Response Team provides a valuable and worthwhile service for businesses and visitors in Paisley town centre which helps to keep our streets clean and free from litter. ”The Rapid Response Team is an excellent example of the Council’s determination to encourage greater pride in the streets and public places used by businesses, residents and visitors. “It support the work of other Council resources which focus on handling the large volumes of waste generated in modern day life. 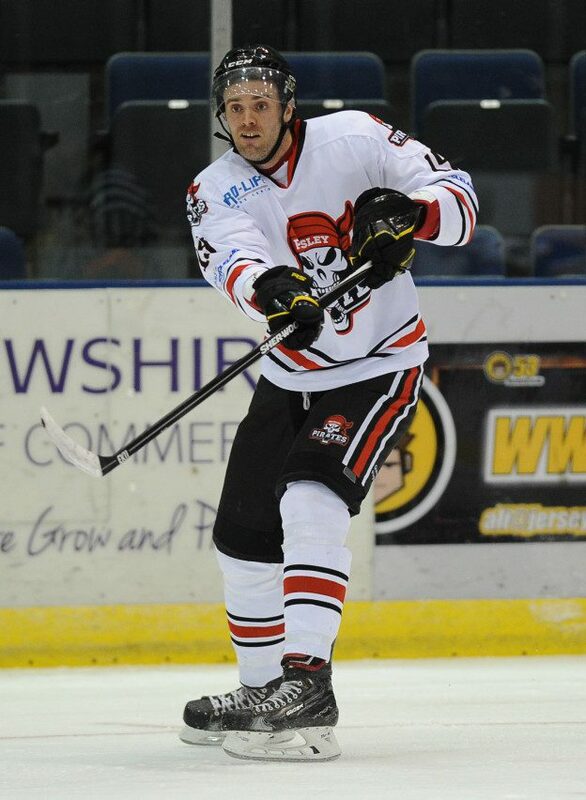 Paisley Pirates go into their Scottish National League match at North Ayr this Saturday (face off 6.30) boosted by their season’s best 14-1 win over Kilmarnock Storm, but with their coach in very cautious mood about their forthcoming trip to the seaside in Ardrossan. Yesterday in parliament St Mirren Football Club were congratulated on their winning of the Scottish Communities League Cup. In a question raised at Holyrood, Paisley’s MSP questioned Nicola Sturgeon about the benefits of football teams that take pride in being part of their local community and give something back. St Mirren have been long involved in community projects around Paisley and Renfrewshire, including Street Stuff where young people are encouraged to take part in sport and has seen a dramatic drop in levels of disruptive behaviour. ‘I was extremely pleased that Nicola offered her congratulations to St Mirren on winning the League Cup. In fact it is particularly fitting that the cup has been branded the ‘Communities League Cup’ through sponsorship from the Scottish Government. We all know that St Mirren are one of the best, if not the best football clubs in Scotland that integrates completely with their town. They are always willing to help local groups and individuals out and take part in projects that benefit our community. ‘There is a serious sponsorship value associated with the government’s sponsorship of the cup to develop more programmes with clubs from around Scotland. They will do well to have a look at our great team to get an idea of how a club can be a seamless part of the community – ‘One Town, One Team’. ‘I take this opportunity, as I am sure the First Minister would also wish to do—to congratulate St Mirren Football Club on what was indeed a famous victory in the cup final. ‘Our national game is a powerful means of engaging with young people, and the sponsorship has been an ideal way to build on all the excellent work that clubs are doing to help place football clubs back in the heart of communities. In recognition of the important role that St Mirren and other clubs play in communities, our £1.8 million sponsorship package this year includes a community engagement fund of up to £500,000 to help all 42 league clubs to develop their community programmes. ‘I know that the Minister for Commonwealth Games and Sport was impressed, on a recent visit, to see the community activities of two clubs, Motherwell and Airdrie United. She has plans to visit more clubs in the coming months, and I am sure that she would agree that a visit to the communities league cup winners would be an ideal opportunity to see their work in action’. The Deputy First Minister and Cabinet Secretary for Infrastructure, Investment and Cities (Nicola Sturgeon): It has been a great success. Our sponsorship of the Scottish communities league cup is a commitment to build on what is good about the game, taking the passion from the grass roots and communities and providing a positive message to the rest of football and indeed society. We have been working in partnership with the Scottish Football League, the Scottish Premier League, the Scottish Football Association and clubs to engage with communities and educate young people to understand the three pillars of the cup: respect, responsibility and tolerance. George Adam: As the cabinet secretary will be aware, the famous Paisley St Mirren recently won the Scottish communities league cup. Will the cabinet secretary agree with me that, on the day of the final, St Mirren and Hearts fans indeed promoted the values of the tournament? Will she note the amount of community involvement that St Mirren has sustained for so many years, including in the run-up to and after the final? In Paisley, we are lucky to have such a great community-based club. Does the minister agree that sports clubs such as St Mirren, engaging with their local communities in that way, can only be positive for those communities? The Presiding Officer (Tricia Marwick): Mr Adam, you could not help yourself. I agree on the rest of George Adam’s question. Our national game is a powerful means of engaging with young people, and the sponsorship has been an ideal way to build on all the excellent work that clubs are doing to help place football clubs back in the heart of communities. In recognition of the important role that St Mirren and other clubs play in communities, our £1.8 million sponsorship package this year includes a community engagement fund of up to £500,000 to help all 42 league clubs to develop their community programmes. I know that the Minister for Commonwealth Games and Sport was impressed, on a recent visit, to see the community activities of two clubs, Motherwell and Airdrie United. She has plans to visit more clubs in the coming months, and I am sure that she would agree that a visit to the communities league cup winners would be an ideal opportunity to see their work in action. We are very fortunate to have had a rich and interesting history in our town. Paisley town has lots of visitor attractions to visit and boasts some stunning architecture throughout the town centre and beyond. If your traveling in or to Paisley our guide below will help you understand what means of transport are available and also assist you with day to day travel information on our roads.